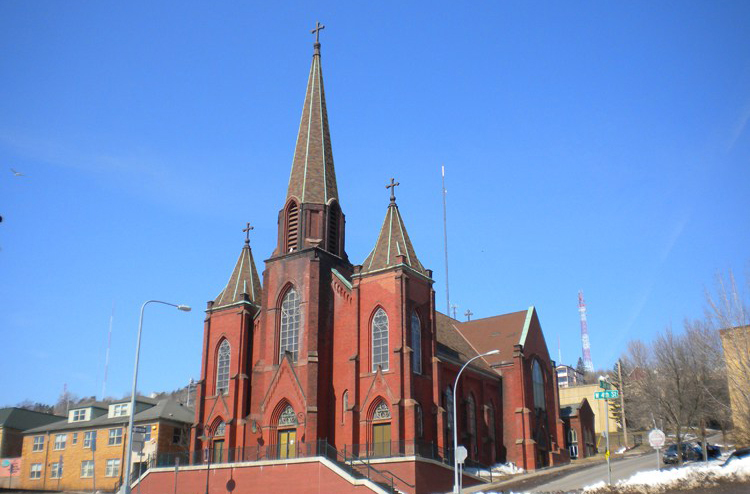 Once the home of the archdiocese of Duluth, the Cathedral of Sacred Heart served Catholics in Duluth for eighty-seven years. Although it was replaced as the seat of the archdiocese in 1957 when the Cathedral of Our Lady of the Rosary opened its doors, masses were held here until Sacred Heart merged with St. Mary Star of the Sea in 1985. Sacred Heart had a parish house as well, also built in 1896, which acted as a rectory and the home of the diocese bishop. It was razed in 1956. The church is now the home of the Sacred Heart Music Center, which presents a wide variety of concerts and houses a recording studio. The former cathedral has also retained its historic 1898 Felgemaker pipe organ, considered one of the finest instruments of its kind in the entire state. The center often provides visitors opportunities to hear (and even play) the organ. The building has retained some of its original beauty, including an Italian marble altar.